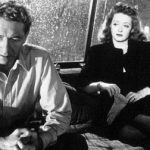 Just in time for next week’s Black Friday shopping binge is Dark Crimes: Film Noir Thrillers Vol. 2, a DVD collection from TCM and Universal released earlier this year. The set includes two Fritz Lang films. “You and Me” (1938) is an offbeat gangster comedy/romance starring George Raft and Sylvia Sydney, with music by Kurt Weill of “The 3 Penny Opera” fame. The always delightful Ray Milland plays a man desperately trying to stop a Nazi spy ring in Lang’s “Ministry of Fear” (1944). Graham Greene wrote the source novel. Two William Castle movies complete the set. “Undertow” (1949) tells the story of a fall guy framed for murder (Scott Brady) who pursues the real culprits. “Undertow” also stars Bruce Bennett. Castle’s “Hollywood Story” (1951) stars Richard Conte and Julie Adams. In this backstage murder mystery, a producer makes a movie about an old crime, hoping to uncover the perp. Dark Crimes Vol. 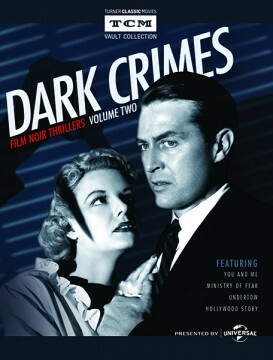 2 contains multiple digital bonus features, including an introduction by TCM host Ben Mankiewicz, behind-the-scenes photos, production stills, poster and lobby card galleries, an original essay by Film Noir Foundation founder and president Eddie Muller, and interviews with Muller and actress Julie Adams. The collection is available exclusively through TCM’s online store: shop.tcm.com.